On page 16 of his 1988 book, The Complete Beatles Recording Sessions , author Mark Lewisohn states that The Beatles first set foot in Abbey Road on Wednesday 6th June 1962. Also according to Lewisohn, on page 56 of his 1992 book The Complete Beatles Chronicle , EMI paperwork shows that George Martin had offered The Beatles a contract following a meeting with Brian Epstein on Wednesday 9th May 1962 without first seeing them play, and without having met them. His decision was allegedly based only on hearing their failed Decca audition, and Epstein's insistence that his band were going to be "bigger than Elvis". The Beatles contract, dated 4th June 1962, still exists. These dates have been taken as gospel ever since, with the somewhat romantic notion of Martin blindly signing the Beatles passing into legend. 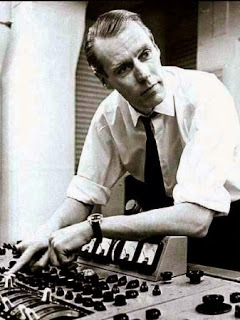 George Martin: I signed The Beatles on 4 June 1962: the original contract still exists with that date on it. I would never, ever, have offered a contract to Brian Epstein for a group I had not met, or heard live. Yet most versions of events state that the first Beatles audition - and thus our first meeting - did not take place until 6 June. But this, according to the contract, was two days after I had signed the group for three years! I don't think it was quite like that. My memory is of a recording audition in No.3 studio, at EMI Abbey Road (the upstairs studio), in March 1962. This memory is backed up by my wife, Judy Lockhart Smith. A quick glance at Lewisohn's Chronicle shows that The Beatles were busy throughout March 1962, mostly playing clubs round Liverpool, but also including their radio debut. The only date that they had free was on Tuesday 27 March. This suggests that the version of events on Tuesday 27 March 1962 was that the Beatles auditioned for EMI in Abbey Road Studio 3, with no recording or paperwork. Following discussion with George Martin, in which he decides to bring them in for a recording audition, it becomes clear that he cannot record them until they have completed their contract with Kaempfert. That evening, Epstein writes to Kaempfert to extricate his charges from their German contract. Martin, meanwhile, begins preparation of the necessary paperwork, should the recording audition be successful. For full details of the Beatles' signing, qv Brian Epstein Negotiates Beatles Deal With Parlophone.